When the top-50 FTSE energy company SSE invested a substantial seven-figure sum in women’s football last year, it was described by some as “a leap of faith”. Then the SSE Women’s FA Cup at Wembley broke records for attendance, media coverage and excitement, raising the profile of the sport that had already gone stratospheric with the progress of the Lionesses at the FIFA World Cup. Widespread admiration, glorifying headlines, breakfast with Prince William, tweets from David Beckham, landmark strides for women’s football in a momentous year. Colin Banks, SSE’s head of sponsorship – “I’d like to claim I was a genius but there was an element of luck in it” – explains the rationale, ambition and fortune behind the ground-breaking deal. We wanted to put a stake in the ground. Move forward. We’re an energy company. At the end of the day, we put the lights on. Our background is engineering so inevitably there are areas in the company that are very much male-dominated. That’s historical not deliberate. So in this day and age we wanted to demonstrate that as a company we’re committed to diversity in general. We had to decide what areas would make the most impact. We felt women’s sport could do with support and investment from a major FTSE top-50 company. How could we do that in the most effective way? We wanted to actively demonstrate our commitment. It’s great saying we want to make a difference. It’s another thing to prove it. Simply, we had to “put our money where our mouth is”. We did our due diligence, and explored the areas where we felt we could best make fundamental change. We explored a number of different options through sport, made a shortlist and ultimately agreed to support women’s football for a minimum of four years. That was 2015, the year the FA Cup was played at Wembley for the first time and the Lionesses became superstars at the FIFA World Cup in Canada. So, there was an element of luck in our timing, let’s be honest. Our decision was also coloured by the massive growth of women’s football. Now it is the third most participated-in sport in the UK among men and women, so the reach is there. We were also encouraged by the commitment to invest in grassroots-level girls’ football by the FA. It felt like a true partnership with them, rather than “Thanks, I’ll take the cheque”. Last year’s SSE Women’s FA Cup final was the perfect way to kick off the deal. It was brilliant. We welcomed more than 500 customers and colleagues in a record 30,000-plus crowd. Everything was absolutely superb. The little things stand out. 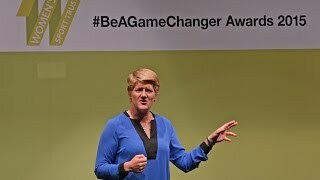 I was sitting just behind Clare Balding at Wembley and I loved the fact that so many of the players, as they collected their medals, took time to say to her: “Thank you for all you’ve done for us.” It was a moving tribute and typical of a day of relaxed informality. The players are still very professional, they still work to the highest level, but there remains a really nice and accessible vibe to the whole thing. The supporters of women’s football feel genuinely valued by the players. When we reviewed how the event had gone, well, I’ve never been involved in a sponsorship where there was no negativity at all. We monitor these things closely. The sentiment around the SSE Women’s FA Cup was 100 per cent positive. So it wasn’t just about the value of the event, it was the tone. The only downside is: how do we beat that? But I’m not worried. We’re ambitious about where this goes, as are our partners The FA, and it’s a fantastic start. It’s hard to say why we seem to be at a tipping point for women’s sport. Personally I was fortunate that for 10 years I worked for the Scottish Football Association and one of my responsibilities was promoting women’s football. It was a shock. It was one of the turning points of my life. My mind was changed. Getting people to open up to women’s football was the hard bit. But once you witness it, you see that it’s a different way of playing the game – very skilful, very technically excellent – people’s attitude changes. It’s a question of perception versus reality. Once you see it, you’re hooked. I imagine I’ll continue to change my attitude as a man. Sport is such a great barrier-breaker. But, please, let me make it clear: I don’t dislike men’s football. In fact, I love it. It’s just I don’t feel it’s a them-versus-us situation. It is the beautiful game no matter who plays it. It would be too great a generalisation to say that female athletes are always easier to deal with than their male counterparts. Darren Fletcher, the former Scotland captain, for example, was one of the nicest sportsmen I have ever met, while some other male players (I’ll leave them unnamed) were a nightmare. But I do think that sportswomen tend to be more open. 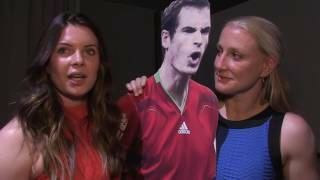 They tend to feel it’s part of their duty and their passion to spread the word about women’s sport, which is very valuable to the company working with them. I’m not saying that doesn’t happen in men’s sport, but that it’s probably a little bit more unreliable. I’ve heard our investment called “a leap of faith”. That such a major blue-chip company should put such a significant investment in women’s sport surprised a lot of people. But we feel that if our investment makes people sit up and take notice of women’s sport, and if it attracts other investors to other sports, then brilliant. It also holds us as a business to account with our own approach to diversity and inclusion. I would say to other companies thinking about such a move: if it meets your business objectives then have a look at the opportunities out there. We’re very happy and we’re in it for the long haul. ← Is time starting to catch up with Serena?